Fujitsu entered the GPON market back in 2006 with the introduction of the Fujitsu Flashwave 6100 gigabit passive optical network offering. 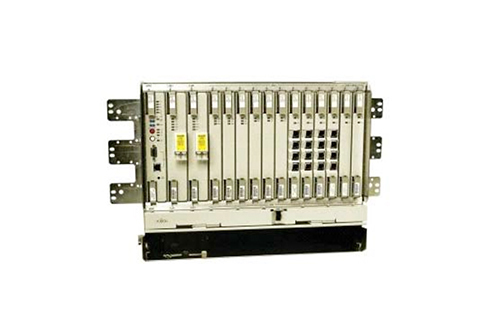 The GPON launch of the 6100 included both an optical line terminal and a variety of optical network terminals. The system relied on a hybrid architecture to leverage existing CWDM so it could initially increase bandwidth per user by an 8X factor. Today, the Fujitsu Flashwave 6100 remains a reliable GPON expansion tool for a variety of metro and access networks. Refurbished Fujitsu Flashwave 6100 units are still common because they can power dual and quad-port GPON cards in a 9RU chassis, with a coverage area of roughly 10,240 homes and businesses per standard rack. Fujitsu built the 6100 to support a hybrid architecture, because the company believed this would allow more customers and providers to perform a GPON upgrade. That foundation still delivers speeds greater than 75 Mbps per user, so it can support a wide range of today’s triple-play packages and services. As you move to new demands and network deployments, used Fujitsu Flashwave 6100 models can support a transition to GPON fiber-to-the-premise architectures that are slowly becoming more common. The 6100 makes it easy and affordable to transition and grow beyond today’s GPON speeds, but there’s no need to roll a truck and replace your ONTs. Worldwide Supply provides used and refurbished Fujitsu Flashwave 6100s that make the same promise of easing into FTTP/N, but we provide a leading warranty and repair service that can also cover your non-Fujitsu gear, simplifying your ability to get back up and running after any downtime.